This design states "Peace a chance" over a military background. Create your own anti war poster or use elements for your other military themed designs. 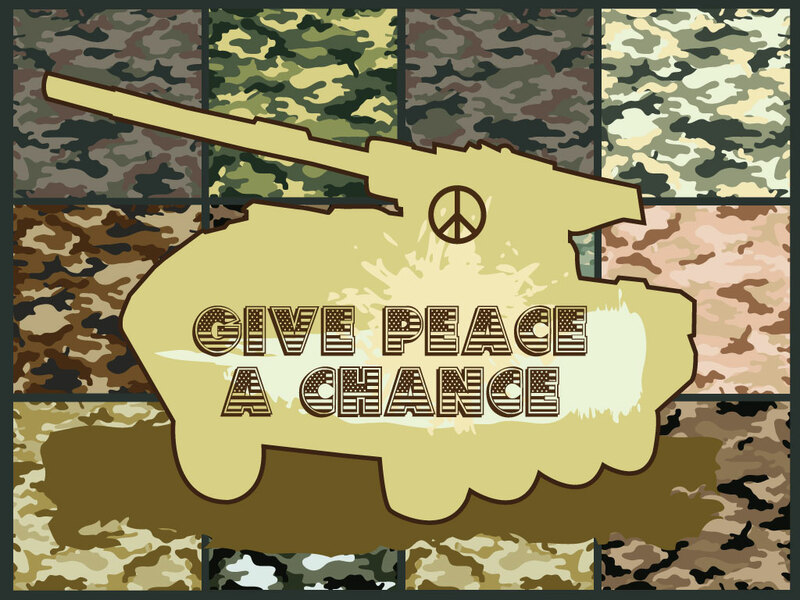 Tags: Anti War, Camouflage, Give Peace A Chance, John Lennon, Military, Peace, Tank.